Peaches on the sun porch. Image taken through the window with morning condensation and backlighting from the early morning sun in my backyard. Beautifully done! Congrats on the top 10! 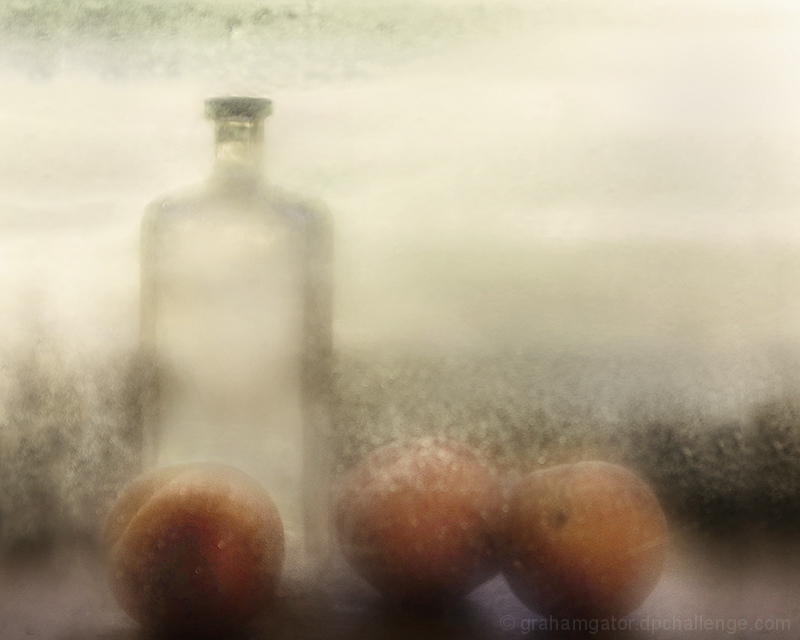 In my top picks, you make still life come alive, I think you may be the best at this genre on here, and I always take inspiration for your work - well done on making the TT in this challenge. Congratulations on a top 10! Natural soft tones and great composition. I love the obscuring, the unknowing, the lack of showing. A still life with secrets. Very good artistic feel to this..
You have revealed the extraordinary in the everyday. Proudly hosted by Sargasso Networks. Current Server Time: 04/25/2019 11:02:01 AM EDT.